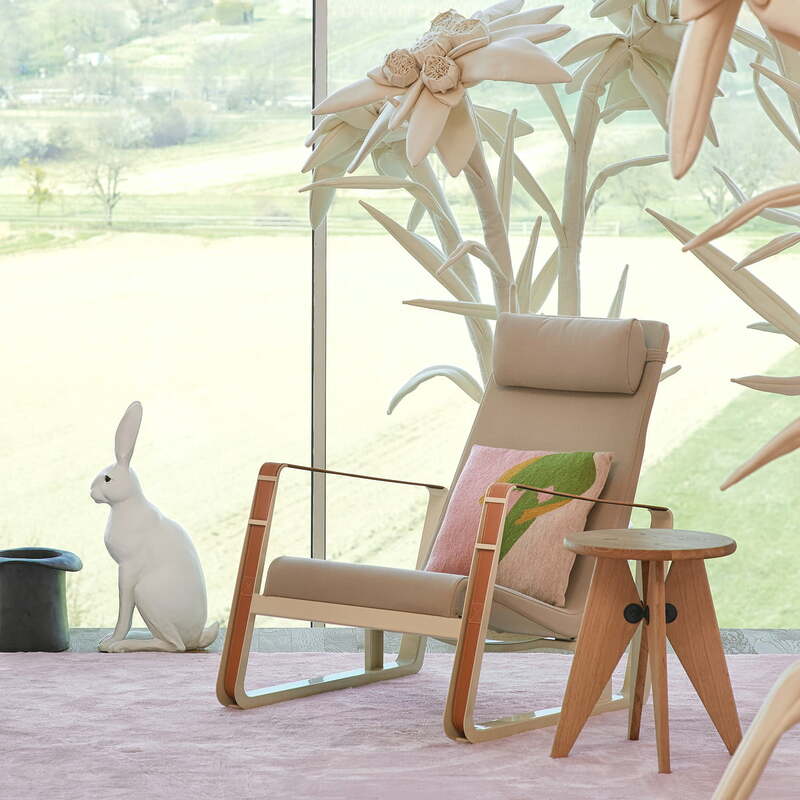 The Cité armchair by Vitra was conceived by the French designer and architect Jean Prouvé, originally created as part of a competition to furnish the student residence in the Cité Universitaire of Nancy. The armchair is characterised by its distinctive steel runner and dynamic-looking backrest. The frame is supported by leather straps that put the rigidity of the material into perspective and ensure a harmonious overall appearance. The dynamic appearance of the seat makes the light armchair look extra comfortable. Cité also features a neck pillow, making it perfect to read, watch TV or simply unwind. Alone in the reading room or integrated into an already existing seating area, the chair invites you to relax. The Cité armchair by Vitra is available with fabric or leather upholstery of various colours. 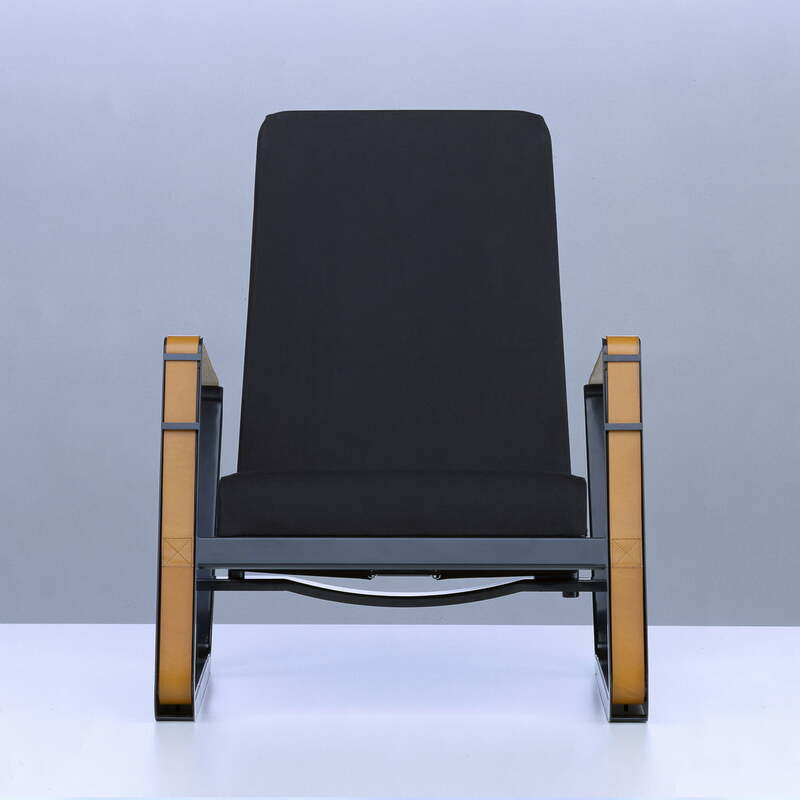 Isolated product image of the Vitra - Cité armchair. The frame with a leather strap puts the rigidity of the material into perspective and ensures a harmonious overall appearance. Isolated product image of the Vitra - Cité armchair. Alone in the reading room or integrated into an already existing seating area, the chair invites you to relax. 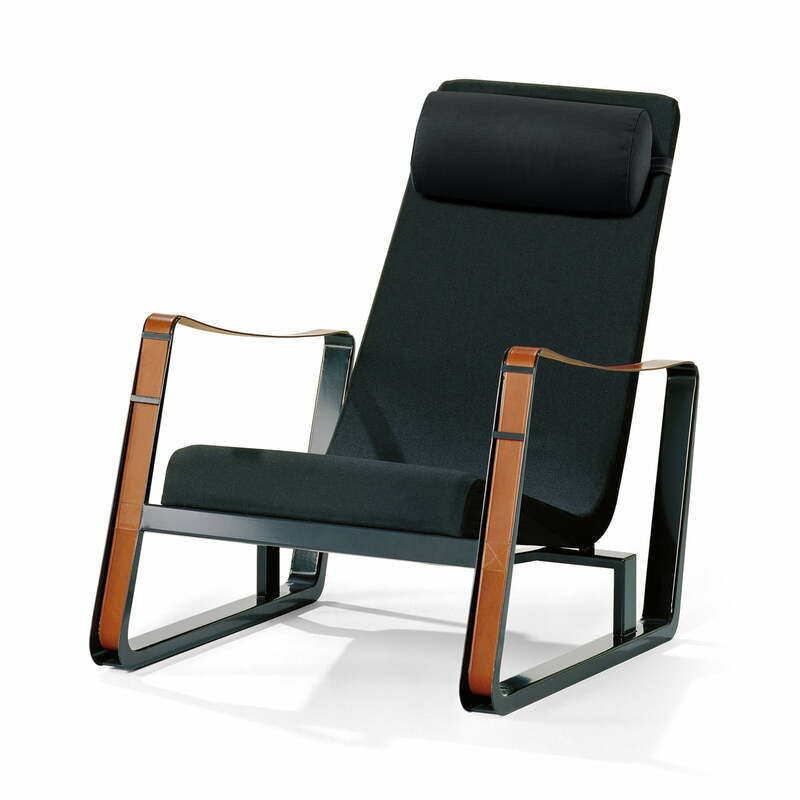 Side product image of the Vitra - Cité armchair with black upholstery, black base and cognac leather straps. The dynamic appearance of the seat makes the light armchair look extra comfortable. 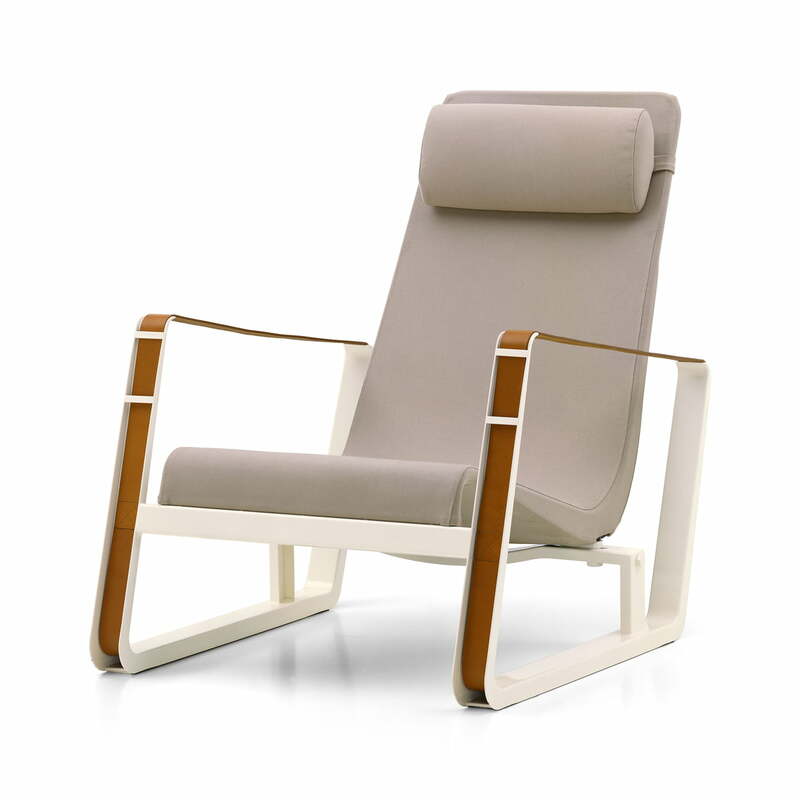 Lifestyle product image of the Vitra - Cité armchair. 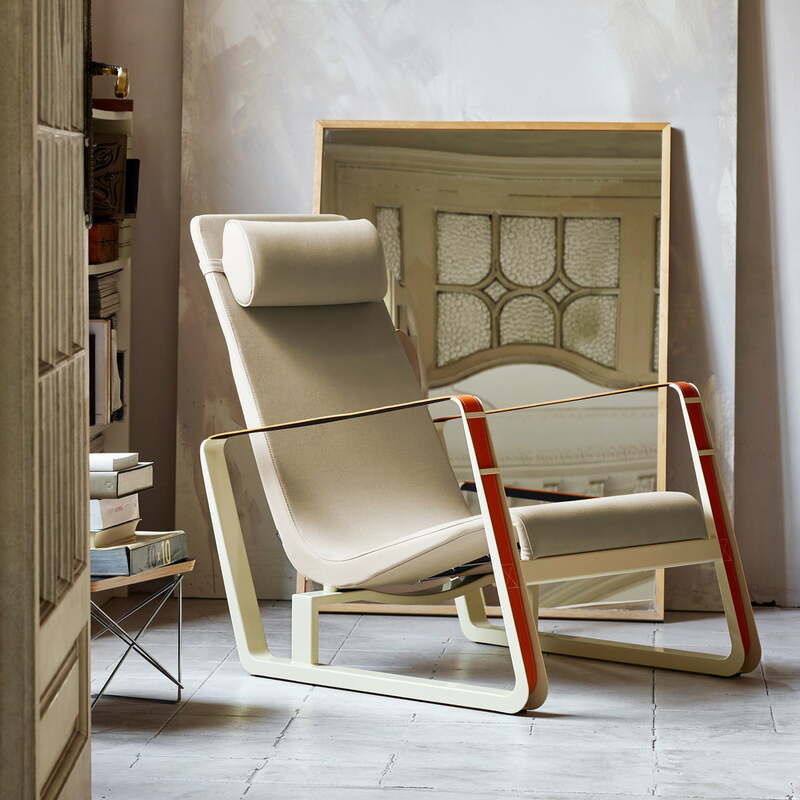 The Cité armchair by Vitra was conceived by the French designer and architect Jean Prouvé, originally created as part of a competition to furnish the student residence in the Cité Universitaire of Nancy. Lifestyle product image of the Vitra - Cité armchair with beige upholstery. 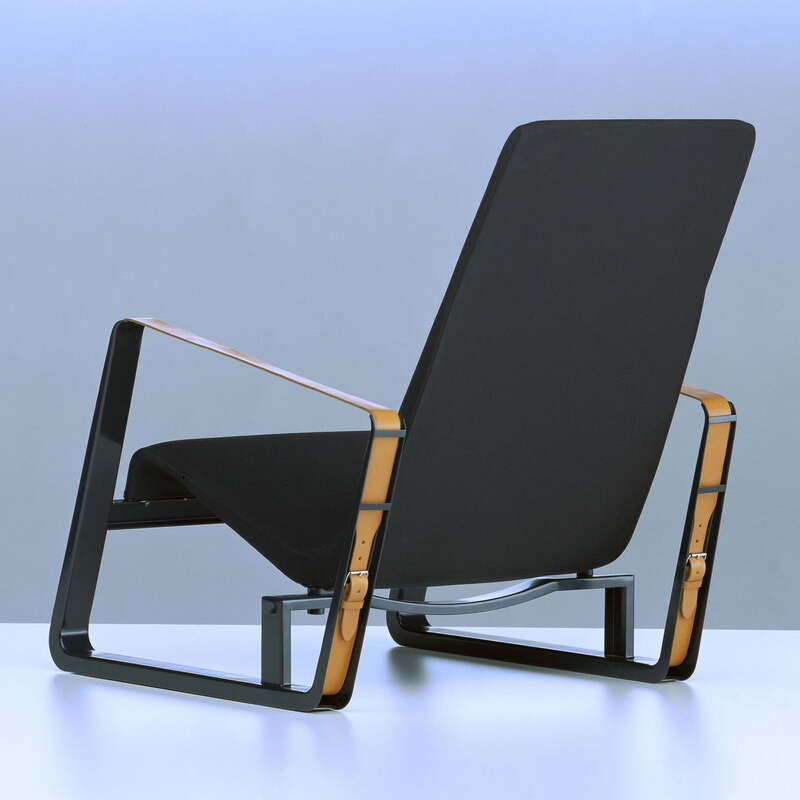 The armchair is characterised by its outstanding steel sled base and cantilever backrest.